Do I have to link all my eBay listings? No, you can link just 1 listing, all of them or any listing(s) you wish. How does Scarcity Manager know when I run out of stock? You tell Scarcity Manager how many of each item you have. How to set SKU for items on ebay? Its important to have SKU for items with Variations. Our customers will need to update their items variations with SKU. ebay generates SKU automatically so they dont have to enter each SKU, but its a bit tricky. Here are steps for the same. 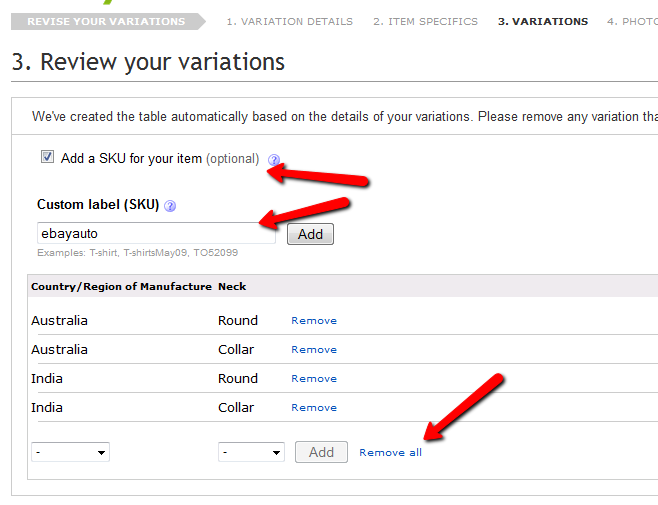 While editing an item listing click on "Add/Edit Variations" in the second block "List Multiple Variations of you item". 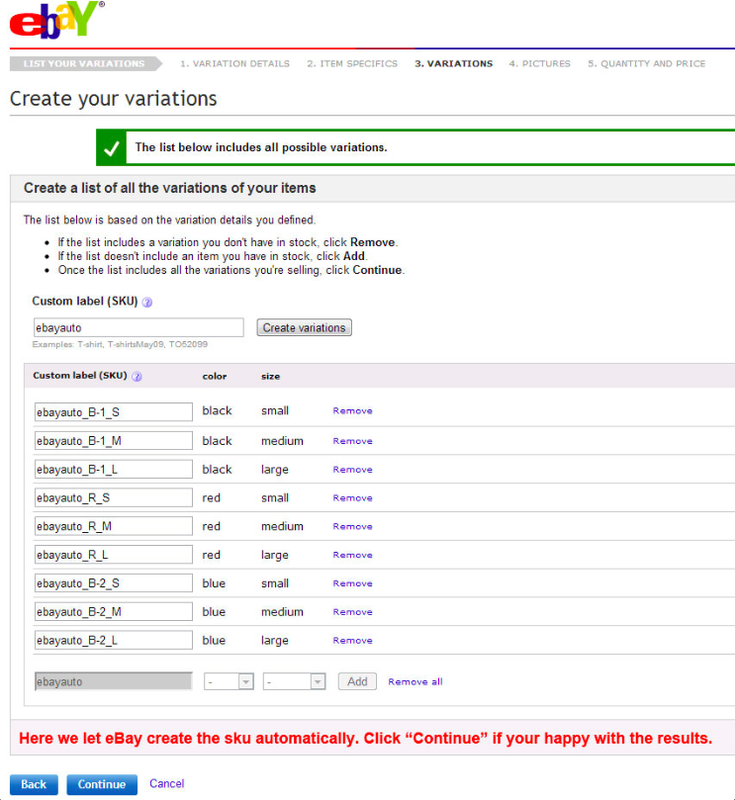 It will list first page of variations section Variation Details->Click Continue without changing anything here. Click Continue on next page without changing anything. On next page (Step 3) you will see a checkbox "Add a SKU for your item"->Check that(Tick that). Below it you will see Custom Label(SKU) and text box to enter. Type anything you wish, see examples under it. Click Continue, You will see an error message in red You need to define at least one variation., but you will also see all SKU boxes are filled with auto generated values. Click On Continue button now and carry on till republishing your item(Submit Revisions button). You will need to re-enter prices for your item variations in steps further. Why can't I update more than 50 Items or Variations at a time? Because of security reasons from ebay, we can not allow to updated more than 50 items or Items with that many variations at once. While updating quantities, user needs to select maximum 50 items per page and then updated. For viewing purpose only user can user higher number of items per page. How to set quantities on Scarcity Manager so it work properly on eBay? How to set items out of stock on Scarcity Manager so it does not update on eBay? Check the checkboxes next to items and click the "Mark Out of Stock" button below. How to set up Supplier Repricer / Competitor Repricer?